One in four kids today is anxious. We can help kids deal with their anxiety by accessing the peace that is always available to them when they pause. 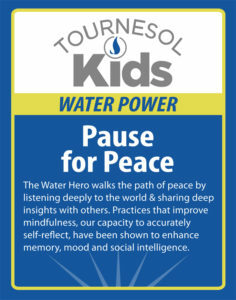 One of the activities in the Tournesol Kids Game called Pause for Peace gives children a way to reconnect with their inner peace.